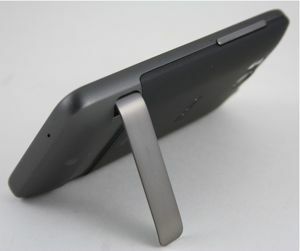 The HTC Thunderbolt is for Joneses. You know, those guys on your street who always get the latest and greatest thing before everyone else. The Thunderbolt is, of course, the first Long Term Evolution 4G handset for Verizon's spanking new LTE network. Can this "first" even come close to living up to the hype — and hope — surrounding it? anyone thinking of upgrading to this new phone? I did last week. And just got back from store after returning it. Battery life is just terrible and I am not one that wants to carry a second battery, bolt on the brick extended life battery or always have it plugged in. I just don't get why they didn't have this taken care of before hand knowing what they knew about the EVO and it's other siblings. Essentially this is the EVO for Verizon with very slight tweaks here and there. The same battery life that became famous with the EVO is now on it's twin brother, the Thunderbolt. All the specs for this thing have been out for a minute, so the only thing that actually surprised me about the device is the lack of a 4G toggle. With Verizon's own admitted plans to TIER data plans soon, that's not a comfortable thought. Forced overage anyone? Not to mention that means the phone is always going to be looking for a 4G network. Even more battery gone. And can someone tell me why I have to pay $249 for it? Why are you complaining about paying $249. Uggggghhhh People kill me sometimes.